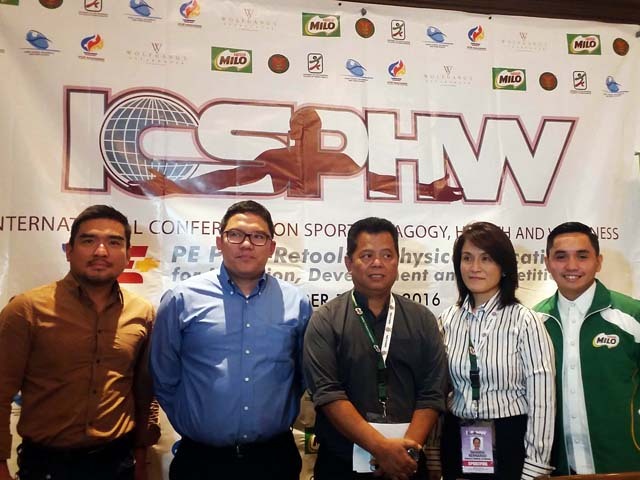 Philippines Host International Sport Pedagogy Conference | JustRunLah! (L-R): Raymond Magdaluyo, Atty. Carlo Abarquez, Dean Ronualdo Dizer, Geraldine Go-Bernardo and Robbie de Vera at the ICSPHW media launch. PHILIPPINE SPORTS will receive a major shot in the arm with the staging of the 2016 International Conference on Sport Pedagogy, Health and Wellness this coming November 18 to 20 at the Celebrity Sports Plaza in Quezon City and at the nearby University of the Philippines-Diliman. The event is made possible by the Sport Management Council of the Philippines (SportPhil) and present by MILO. A total of 27 international and Filipino experts are scheduled to deliver lectures throughout the conference coupled with 63 research presentations and culminating with practical applications on the final day. “This conference has been planned for the last four years in order for our local educators to learn the latest developments in their field right here instead of going abroad,” said Dean Ronualdo Dizer of the UP College of Human Kinetics. For her part, SportPhil founder Geraldine Go-Bernardo looks forward to teaching the teachers. “We want PE to be just as important as the other subjects in the curriculum,” said Go-Bernardo, herself a former member of the national Dragon Boat team. The conference has drawn the support of the Philippine Sports Commission, Department of Health, Department of Tourism and the Commission on Higher Education. 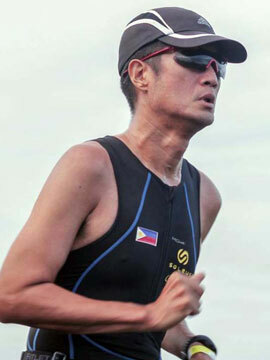 The recent media launch was hosted by Wolfgang’s Steakhouse at Resorts World of Raymond Magdaluyo, who aside from running restaurants in an active multisport athlete and organizers triathlons, duathlons and similar events. The PSC was represented by Atty.Carlo Abarquez who lauded the organizers as the conference will go a long way in their grassroots sports programs. Chairman William “Butch” Ramirez will personally attend the conference accompanied by 50 national coaches. MILO Sports Executive Robbie de Vera recalled their “One Child, One Sport” campaign launched in 2014 making the conference very timely. “Up to this day, we continue to advocate that active children are active learners,” said de Vera of the continuing campaign. For online registration and more information and complete roster of speakers and presentations, please visit www.peplus.ph. Social media users may also visit and like Official NCSP Facebook Page.